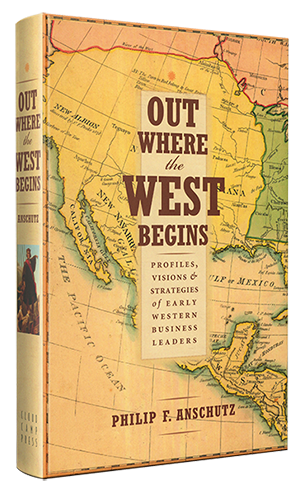 Out Where the West Begins tells the stories of bold entrepreneurs and creative innovators that paved the way for the booming economy of the American West. Step back in time and read the tales of the people responsible for shaping the United States as we know it today. 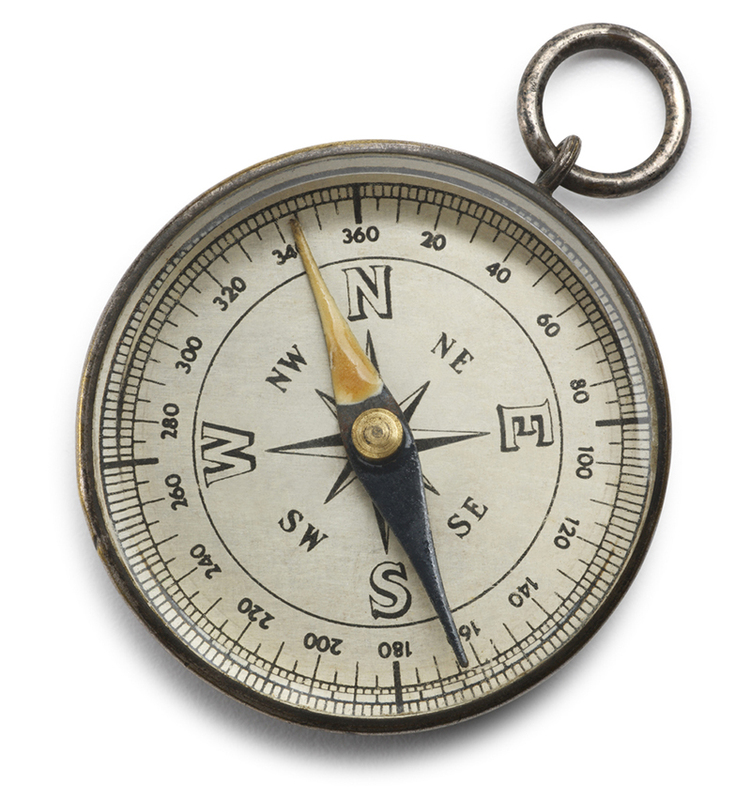 Between 1800 and 1920, an extraordinary cast of individuals helped lay the groundwork for success in the American West including people like Brigham Young, Levi Strauss, Adolph Coors, J. P. Morgan, and Buffalo Bill Cody. They were people of imagination and courage, adept at maneuvering the rapids of change, alert to opportunity, and persistent in their missions. Read their stories of adventure and innovation in Out Where the West Begins, Volume 1 & 2, written by Philip F. Anschutz. The best known of all western brewers frustrated contemporary biographers and did not care to reflect on his life, which began and ended with tragedy. He started out as an orphan and ended leaping from a hotel window. His father, Johann Joseph Kohrs, was a miller like his father before him, and perhaps his grandfather and great-grandfather. Joseph became a master miller in the small town of Barmen in the west-central German province of North Rhine Westphalia There he married Helene Hein. The couple’s first child, Adolph Hermann Joseph, appeared the following year. Most Colorado breweries were small operations that relied on separate firms for bottling. On May 1, 1872 Adolph Coors and a partner, John Staderman, opened a bottling works. Their company bottled ale, porter, cider, and seltzer water. Coors bought out Staderman in November 1872, then sold the business in October 1873. Shortly afterwards the family moved to nearby Dortmund, where Adolph grew up across the street from the Wenkler Brewery. There the youngster went to work at age fourteen. The brewery fascinated him. He watched with particular interest as the brewers bolted down their first steam engine. A year later Adolph’s world turned upside down. Tuberculosis killed both his parents and authorities installed him and his younger brother and sister in a Catholic orphanage. At least the nuns there respected his pleas to continue working at the brewery. At age twenty-one, Adolph faced being drafted into the Prussian Army and its endless wars. Like hundreds of thousands of other Germans, instead he fled to America. He stowed away on a ship headed for Baltimore. There he either changed Kohrs to Coors or immigration officials did it for him. Either way, Adolph gladly left his old name and old country behind to begin life anew. The pale blue eyes of the young immigrant focused on a future away from orphanages and a lifetime at war. In the new country, he headed west. He did not stop until he reached Naperville, Illinois, twenty-five miles west of Chicago. There Coors found work in John Stegner’s brewery. In Naperville, Coors heard talk of a booming new western city where Germans were the single largest foreign-born group, and he knew that where there were Germans, there would be brewing opportunities. Following his dream of running his own beer works, in 1872 Coors climbed aboard the three-year-old transcontinental railroad headed for Denver. Coors took a shine to Colorado after stepping off the train that April. At first, he blinked in Denver’s bright sunshine. He felt the dry climate and wondered at the lack of vegetation. In the brown and treeless town, Coors, an avid horticulturalist all his life, found work as a gardener. The intense western sunshine may have left him thirsty for his old brewery job. Most Colorado breweries were small operations that relied on separate firms for bottling. 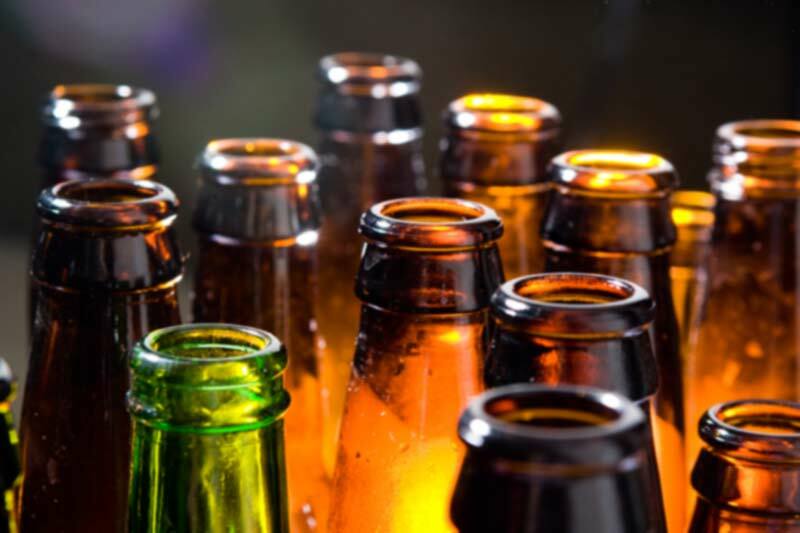 On May 1, 1872 Adolph Coors and a partner, John Staderman, opened a bottling works. Their company bottled ale, porter, cider, and seltzer water. Coors bought out Staderman in November 1872, then sold the business in October 1873. He had learned and earned enough to get back to brewing. Bottles did not interest him as much as what was in them. The Coors Brewing Company originated with Adolph’s Sunday ramble up Clear Creek in 1873. He lingered beside that jubilant mountain stream, studying and then tasting its clear, cool water. Poking around the cottonwood-lined banks, he found springs. He learned that Clear Creek had been the mother lode of the Colorado gold rush, attracting some 100,000 fortune seekers in one of the greatest mass migrations in U.S. history. Coors did not seek the heavy, yellow metal in Clear Creek. He figured its water could be transformed into liquid gold. 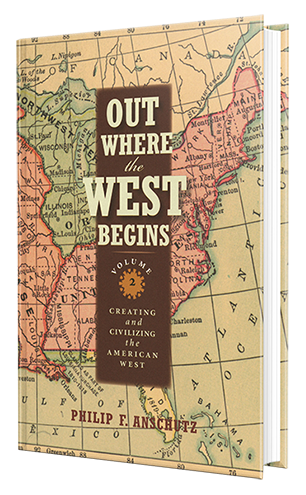 Below you’ll find excerpts from media coverage related to Out Where the West Begins. Looking to expand your knowledge of American western history? From legendary pioneer women on the frontier to the adventures of history’s most iconic leaders, these titles will take you on a journey back to the Wild West. A book that digs deep into the stories of several inspiring American leaders and their makings, Out Where The West Begins is all about the United States’ Wild West era. The history of Western America is a long and storied one, filled with moments of growth, exploration, and innovation that have shaped the cultural landscape of the United States into what it has become today.